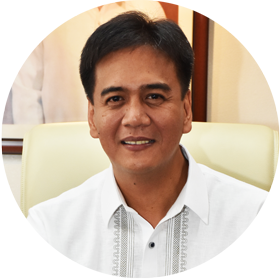 The Asian Productivity Organization, which is set to hold its 61st Governing Body Meeting in Manila this coming April 10-12, has released the schedule of activities for the three-day conclave of its top policy-making body. Topping off these activities are the plenary sessions that will be held on the first and second day of the gathering as well as a cultural tour and a forum for local participants on the third and last day of the event. 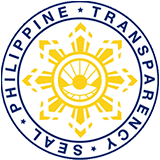 As host of the annual meeting of the APO’s supreme organ, the Philippines, through the Development Academy of the Philippines, the mandated national productivity organization (NPO) of the country that acts as the focal institution carrying out the country’s commitments to the APO, is at the forefront of preparations for the important event. Expected to be attended by some 70 foreign and local delegates, the GBM will be held at the Manila Marriott Hotel, where the first plenary session will take place in the afternoon of its first day on April 10. The second day will then see another plenary session where 19 of the 20 member countries of the APO will make their presentations on their expectations of the APO in 2025. The GBM will be capped off on the third day by a cultural tour participated in by the foreign delegates even as a forum for local participants where presenters from three Centers of Excellence of the APO have been invited will be held as a side event. The three COEs are India as COE on IT for Industry 4.0, Singapore for Business Excellence, and Taiwan for Green Productivity. National Economic and Development Authority Undersecretary Adoracion Navarro, as APO director for the Philippines, is leading the hosting group in preparing for the GBM along with DAP President Engelbert Caronan Jr., the alternate director of the country in the APO. 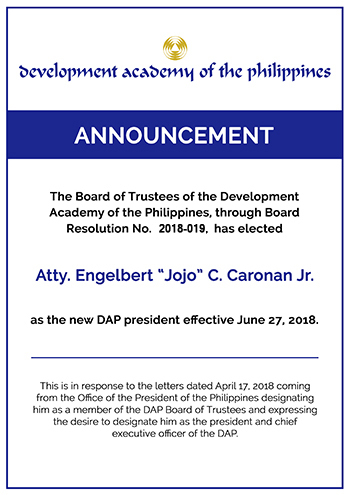 Also in the group are DAP Senior Vice President for Programs Magdalena Mendoza, the DAP’s APO liaison officer Armand Tristan Soratos, DAP Vice President for Corporate Concerns Trygve Bolante, DAP Graduate School Dean Alan Cajes, and DAP Senior Vice President for Services Bernardo Dizon.